If there was ever any question about rock ‘n’ roll being alive and well, the answer has arrived in the form of Monster Energy’s Rock Allegiance Tour. 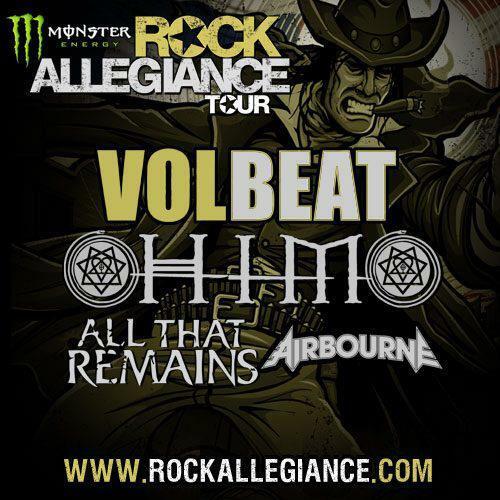 The late summer trek will feature four game-changing rock bands from four different countries, with Volbeat, HIM, All That Remains and Airbourne on the bill. Airbourne had a family emergency so they had to drop off the tour. 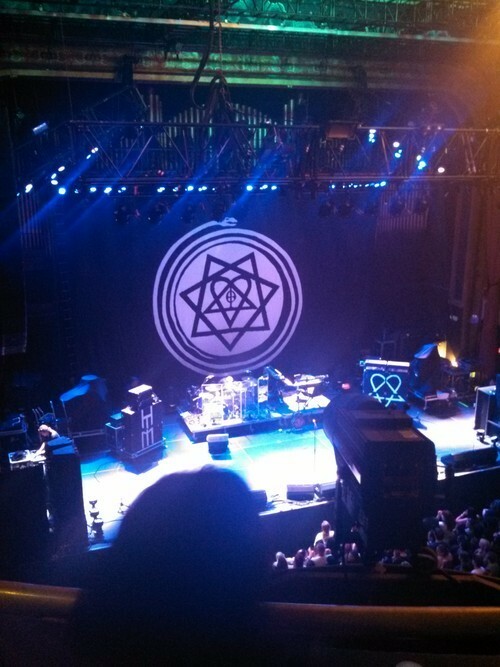 The show started a bit early with All That Remains opening the show in Airbourne’s absence. 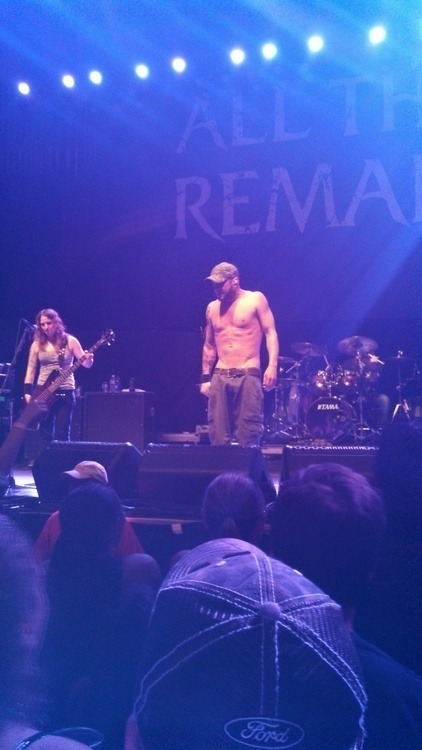 In classic ATR fashion, vocalist Phillip Labonte was wearing a camo hat with a curved bill and cargo shorts. The metalcore band from Massachusetts (where all the good metal bands are from) opened the show with a song from their 2010 effort, “For We Are Many”. The crowd was unresponsive for the half of the set until the band pulled older songs from their catalog such as, Forever in Your Hands, Six, Two Weeks, and This Calling. Oli Herbert’s guitar solos were point along with bassist’s Jeanne Sagan back-up growls. Jason Costa was the first metal drummer I’d seen using traditional grip for his drumsticks. I’ll be honest; I’d never heard of HIM till I watched Viva La Bam way back in the day when MTV had “quality” programming. Bam licensed their logo and had used it for a variety of things. Notably, the beanie he always wore on the show. I watched HIM’s not being too familiar with their albums/songs. I’d had only heard Dead Lover’s Lane on Viva La Bam and Passion’s Killing Floor on Transformers: The Album. The band were all business; only stopping a few times to interact with the crowd. Hopefully, the band do another USA tour that will be a headlining trek. Editor’s Note: I left after HIM cause I’m not a fan of Volbeat.